It is generally accepted that a skill that is not maintained will gradually diminish. It doesn’t matter if you are referring to a performance dog or a pet dog. 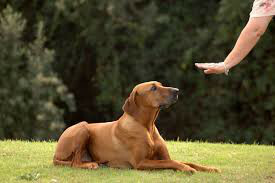 If obedience skills that a dog has been taught are not practiced and a consistent requirement of performance adhered to, these skills will gradually diminish in accuracy and reliability. We hope to have our dogs for a long time; somewhere between 10-15 years. During that time many things in our lives may change. People come in and out of our lives, we may move, get another pet, get a new job, take up a new hobby. So many things can affect our lives in 10-15 years. New situations, strange situations or stressful situations may cause your well-behaved dog to test the limitations of the rules. Don’t be surprised or upset. Simply realize your dog is asking a question, which is: do the same rules of behavior apply in this new situation? As a good owner/leader, you need to be clear, patient and consistent with your answers. Do not let simple skills slide because you feel they are not as important as the dog gets older. The dog will begin to perceive lack of leadership and this may lead to more and more problems, resulting in a very anxious dog. Always requiring sensible behavior and good manners will give the dog a routine in which they can find safety and security. There are many fun ways to maintain and enhance skills learned in puppy or obedience classes. Work towards a Canine Good Citizen title or a Therapy Dog certification. Join a beginners’ agility class where following basic commands such as “wait” and “come” are important foundation skills. Join an obedience rally class and brush up on skills and learn some new ones. If you know you are going to experience a major change in your life or your household, see if you can plan on spending some quality time with your dog to reinforce those basic commands. It will make any transition easier. Just as with humans, dogs will live a longer and happier life when they are less stressed and have activities they can enjoy and where they can use their minds as well as their physical skills. Playgroups and longs walks are a great form of exercise, but don’t neglect your dog’s mind. Learning new skills together or reinforcing and enjoying old ones can many times rejuvenate an older dog and also help calm a young, energetic dog. Working one on one with your dog will deepen your understanding of one another and broaden your communication skills with another species. So, why not give your dog and yourself a treat and join a class in agility, rally or obedience to learn some new skills and reinforce old ones. See you in class!